Janhvi Kapoor made a solid debut in Bollywood with Dharma Productions' Dhadak, in July 2018. The movie was hit and established Janhvi as a bankable star. There has been very little information about her next project. The only official announcement we have is Karan Johar's Takht, but the movie will release in 2020. Janhvi has also been shooting for the Gunjan Saxena biopic, rumoured to be titled, Kargil Girl, but there has been no official word on it. Add another one to the suspense around her next release. As per reports, Janhvi has been approached to star in Dinesh VIjan's next featuring Rajkummar Rao. Now, we have already told you that Rajkummar will feature in Dinesh's next horror comedy, after Stree, which has been titled Rooh-Afza. But turns out, this is not the film that Janhvi has been approached for. As per a report by Bollywood Hungama, this another film that Dinesh and Rajkummar are working on." A source close to the development, told the entertainment portal, " Post the success of Stree, Dinesh has been on an announcing spree, there was Bala with Ayushmann Khurrana and Bhumi Pednekar and then there is also Rooh-Afza followed by Love Aaj Kal 2. 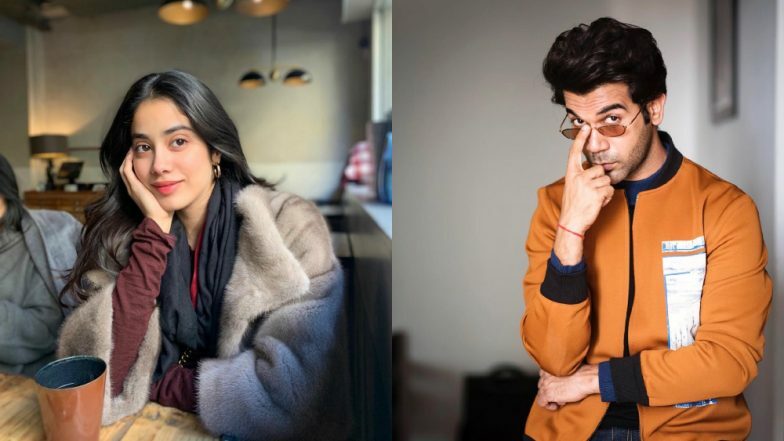 Now there is another venture that Dinesh is planning which will feature Rajkummar Rao and Janhvi Kapoor,"
Just the thought of Janhvi and Rajkummar starring in the same film has got us excited. We are so looking forward to getting an update on the same. Also, if Janhvi could just announce her next project, already, we'd be glad.